OnePageX.com ~ News & Updates ~ Convert Cryptocurrency Quickly & Easily!steemCreated with Sketch. We will start with a quick recap, and present some updates as well! Instantly Convert STEEM With Over 140 Cryptocurrencies! 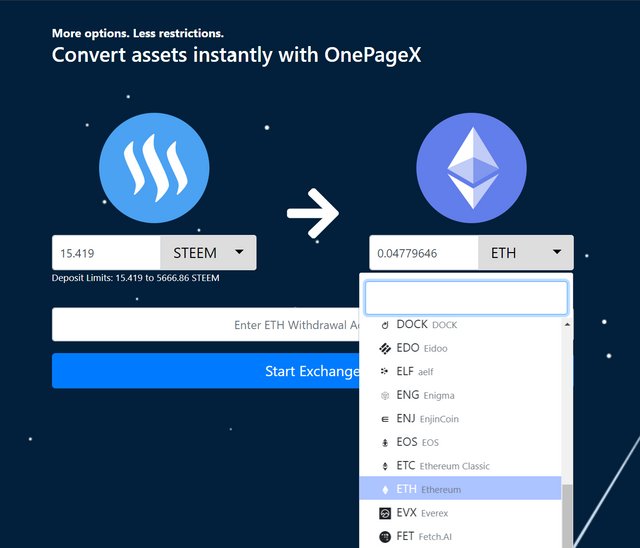 For those that don't already know, OnePageX.com has added full support for STEEM. 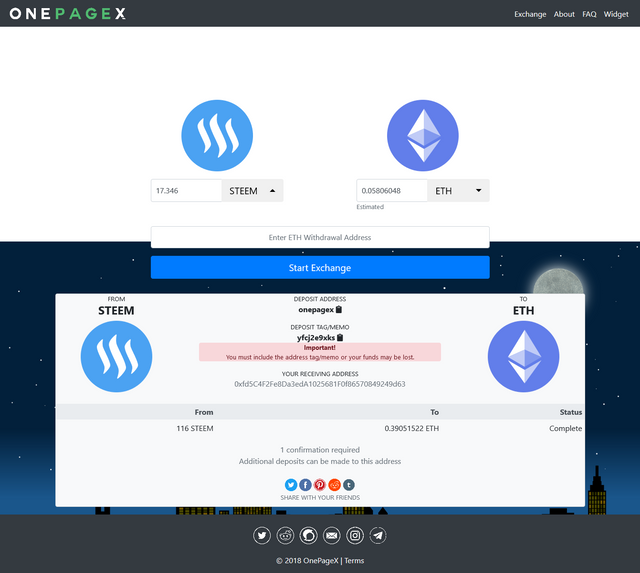 This means that whether you want to use BTC, XMR, DASH, GRS, LTC, BTG, BCHABC to get STEEM or use STEEM to get any of the over 140 offered cryptocurrencies, OnePageX.com has you covered! OnePageX.com has always been mobile-friendly but we have made some improvements to make the experience even more seamless! You are welcome to try us on mobile and let us know what you think! After all, there is no reason that converting cryptocurrencies should only be done on a desktop computer! More Incoming Cryptocurrencies - Coming Soon! Those of you who have used OnePageX.com may have noticed a steadily increasing number in the incoming crypto assets. We are continuing this effort in order to further improve OnePageX.com! Our philosophy was always to offer the widest selection of cryptocurrencies with the simplest crypto exchange experience a user could ask for. Did you buy some STEEM and you want to let your friends know? The social media share buttons are a fun way to let your friends know that you just exchanged "X" for "Y". No personal information is attached, it is just a fun way to engage with your followers! The buttons appear only after an exchange is complete. We have been, and are continuing to add features and improvements to the OneBox Cryptocurrency Exchange Widget. As of now it is fully functional and ready to be implemented on any website! 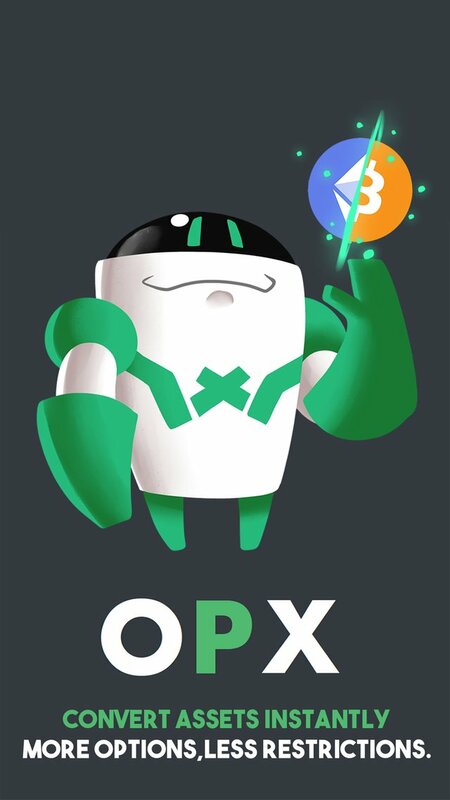 The OneBox will continue getting more cryptocurrencies as we add assets to the main OnePageX.com website! As some of you may know, we held a graphics contest here on Steemit. The event was amazing, and we loved the community participation we received. Another thanks to all the amazing Steem users who participated! We really loved watching the creative minds at work here on Steemit! Thanks for the news and updates! Another boost for cryptocurrencies and steem in particular. I hope many other projects will follow. I wish you all the best and more power! We believe that the vast Steem ecosystem has space for multiple players in helping users utilize their STEEM. We currently offer over 140 cryptocurrencies which users can exchange to, directly from STEEM. Thank you for your comment, and please let us know if you ever have any questions regarding OnePageX.com! We are focused on hearing community feedback and improving the customer experience. Anyway, i did this transaction earlier and it indicates 'completed' but i wonder why i havent received the eth and i dont know how to check the hash details etc. can you please help me check? We have now added an explorer link beside the status of the transaction! This means you will be linked directly to the relevant blockchain explorer where you can watch your transaction! Also, the delay issue has been fully resolved and it won't happen anymore! Thank you for your feedback and input! It is greatly appreciated. We are striving to always improve our service, and community feedback from individuals like yourself really help us! Hi I'm wondering whats the best way to trade in cryto currency? Do you convert it to usd directly? This is awesome and i didn't know about it before. Will use your services whenever required. Thank you! Don't forget to leave your feedback with us! Win you can merge with STEEM soon,! Keep it simple, efficient, and low-cost and I will remain a fan! I love the one page concept, and no signup. The graphic entries are cool, nice job all!